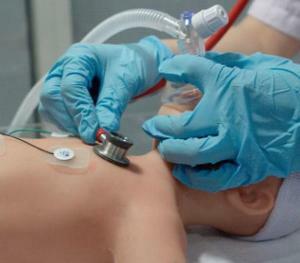 The most advanced neonatal sim available. 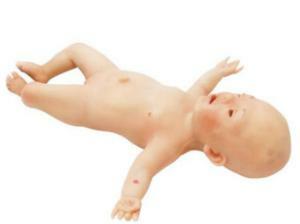 NENAsim was created to complement realistic multidisciplinary team or individual baby patient simulation training. NENAsim is a neonatal simulator with unprecedented level of realism and offers an ideal training solution for a wide range of healthcare professionals including patient care, emergency medical intervention and resuscitation training. NENAsim comes with a software which provides WI-FI communication between the baby and the monitor. It has a user-friendly touch screen interface which allows to control the NENAsim baby simulator movements and shows its vital signs. Configurable parameters are displayed on the patient monitor for the real-time training interaction. The NENAsim patient monitor is a perfect tool for training baby examination. It has the following parameters for setting up various scenarios: blood pressure, heart-rate, ECGs, SpO2, CO2, ABP, CVP, PAP, PCWP, NIBP, TOF and many more. Trainees learn from monitoring the displayed parameters – it enables them to deduct the correlation between the measured values and the clinical picture of the patient, thus helping in recognizing and managing pediatric emergencies. Pediatric airway management remains the most difficult task that many healthcare professionals need to face. 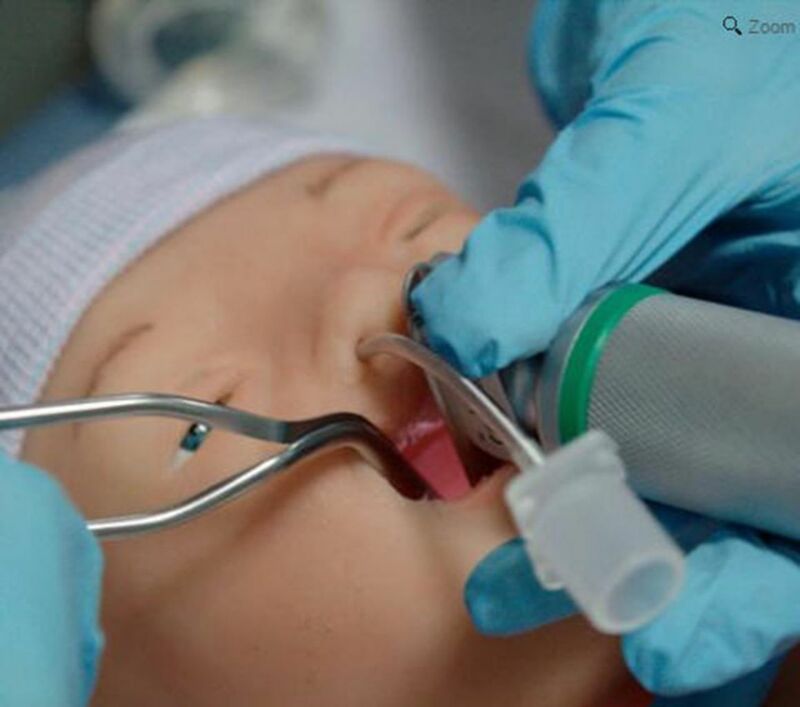 Success of any technique or clinical performance depends on constant training which comes from understanding anatomical and pediatric airway facilities. NENAsim allows to perform all aspects of neonatal airway management training and gives trainees the necessary confidence to deal with their little patients in the future. Newborns and infants might experience breathing difficulties resulting from several different illnesses. NENAsim offers a variety of difficult breathing patterns and complications to help learners tackle these difficult problems in the future. Apart from that, NENAsim would make the training even more realistic through its vocal sounds: crying, coughing or hiccupping. About one quarter of all neonatal deaths are caused by failing to initiate and sustain breathing at birth. Effective resuscitation can prevent a large proportion of these deaths - NENAsim has been designed to teach the fundamentals of infant CPR and trauma care. Open the airway by tilting NENASim’s head and chin, and begin the resuscitation. Blood pressure, pulse rate and respiratory rate are the routine vital signs measured in neonatal care. NENAsim offers versatile BP and ECG features, all of which can be controlled and displayed on the monitor. 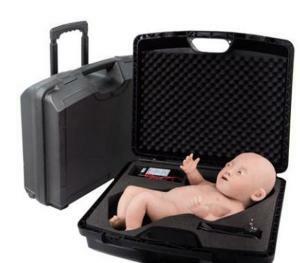 The user-friendly software provides WI-FI communication between the baby simulator and the monitor. Due to this wireless connection, the training sessions can be conducted both indoors and outdoors to maximize the lifelike training. The trainer can choose from one of the 5 available standard scenarios or build his own. New parameters can be added at any time in order to alter the existing scenarios. Individual as well as team trainings with different language options are possible. The creators of NENAsim believe that realistic simulation training is an essential step in improving healthcare. Medical professionals need to be able to put their acquired knowledge into practice without harming real patients. Confidence, competence and experience have to be built up from realistic clinical training. Compatible with both Microsoft Windows and MacOS.